Thanks to the clear-cut focus pursued by the Blechexpo international trade fair for sheet-metal processing and the Schweisstec international trade fair for joining technology, the information, procurement and business platform, held already for the 6th time from 7 through 11 November 2017, once again convincingly set the scene at the global level. The product and service offerings presented by a total of 1336 exhibitors from 35 countries met with strong buying interest on the part of more than 39,280 expert visitors from over 116 nations, and made for very satisfied manufacturers and distributors both during and after the event. On the one hand, the internationalism of offerings from Europe and Asia increased once more. On the other hand, internationalism of the expert audience rose again significantly from 24% at the last event to 30% – i.e. just less than one third of all visitors. With a range of issues targeted at the relevant industry segments (manufacturers and their suppliers), as well as presentation of the respective cross-divisional, complete process sequences, private trade fair promoters P. E. Schall GmbH & Co. KG have literally hit the bull’s-eye once again – especially in light of the fact that more and more attention is being focused on composite designs and hybrid solutions, not least of all as the result of lightweight design which, in actual practice, necessitate interdisciplinary work across the individual fields of technology. The exhibitor forum also presented itself as an interdisciplinary event distinguished by world-class presentations covering a multitude of issues. Over a period of three days, just under 500 experts participated in a total of 22 different presentations, and were thus able to heighten their levels of knowledge and information. The “Schweisstec Session” which took place on the second day of the trade fair met with special interest and inspired its target audience with eight presentations dealing with, amongst other things, Industry 4.0, welding technology and work safety, stud welding, laser welding and pipe processing. Inclusion of the “Schweisstec Session” in the forum program, as well as deliberate incorporation of the Schweisstec trade fair (hall 6) into Blechexpo’s process, competence and know-how sequence, is strictly aligned to actual industrial practice. And industrial practice has virtually no more boundaries amongst the individual disciplines, not least due to indispensable, consistent automation of handling for materials, as well as parts made of sheet metal, pipe and profile. The fact that the consistently practiced presentation of products, competence and know-how pursued at Blechexpo/Schweisstec is met with wide appeal amongst the target groups is confirmed by many of the exhibitors from both inside and outside of Germany who enjoyed a lively influx of expert visitors and outstanding technical discussions. 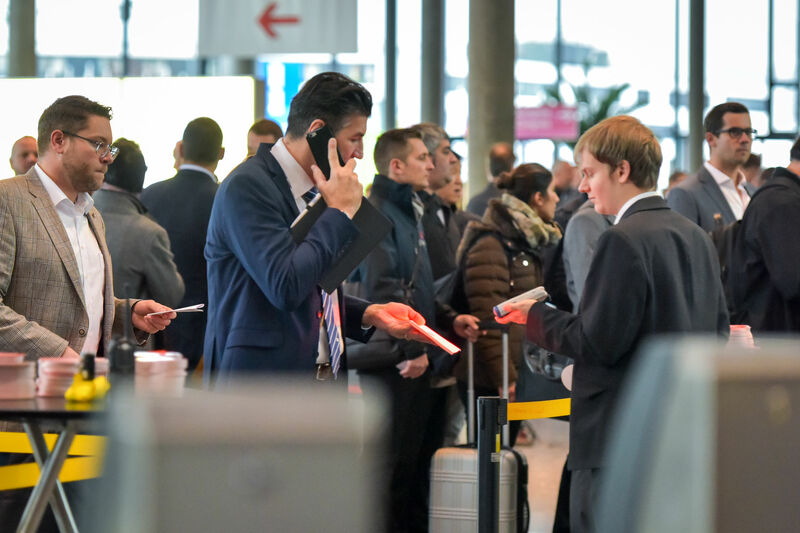 Numerous established, and above all new exhibitors, spontaneously announced that they would participate again at the next Blechexpo/Schweisstec (5 to 8 November 2019), and at the same time indicated that they would like to book more booth floor space. With newly constructed hall 10 (which has increased exhibition floor space at the Stuttgart Exhibition Centre by 160,000 square feet to a total of 1,290,000 square feet), as well as the associated infrastructure improvements (restructuring of the West entrance area), it’s expected that all of these wishes can be fulfilled.